‘You’re going to Colombia? But you’ll get killed!’ Is the common response you get when you tell people that you are going to Colombia. Colombia is remembered from media stories of the past about guerrillas, drug lords and murders on the streets. Whilst this was very accurate in the past Colombia has changed a lot and it is begging for tourists to make their way to this beautiful South American Country. I’m not going to tell you that you will be completely safe and that nothing will happen to you whilst you are here. At time of writing, I’m at the beginning of my travels in Colombia and I still have a lot to see before I make my final decision on the place but don’t forget, you could get robbed or killed anywhere in the world. When traveling in any South American country (or any country for that matter) you should always be aware of your surroundings and make responsible choices about where you go and what you do. I will write another post in the coming weeks about how to stay safe whilst on the road. Unless you are arriving in Colombia by bus from other neighbouring countries your first stop in Colombia will most likely be in the countries capital of Bogota. 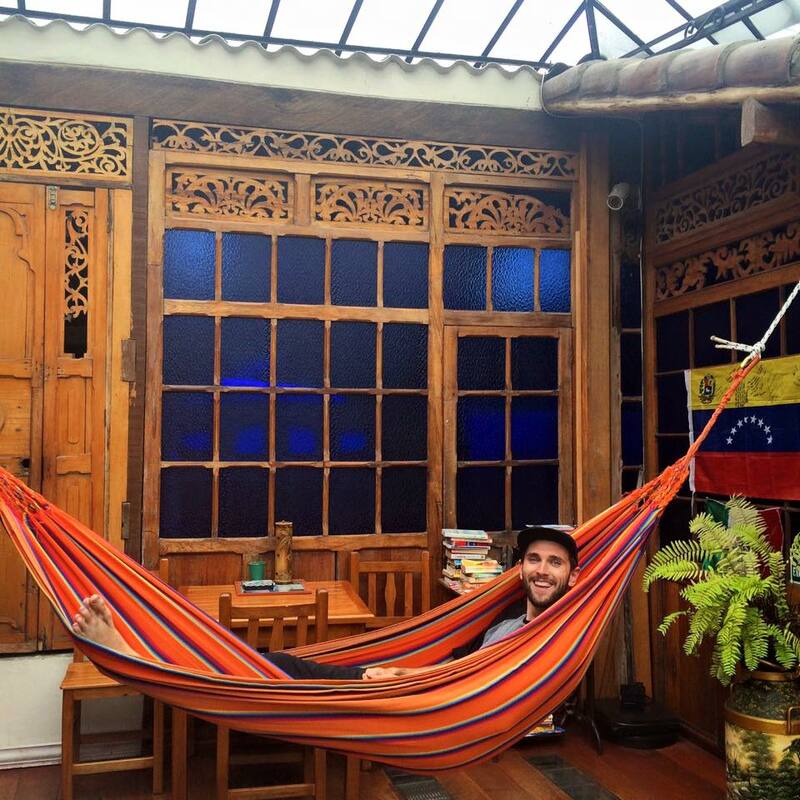 Like most cities in South America they tend to have the least interesting things to do but here are some of my top tips of things to do during your time in Bogota. I love doing walking tours when you are in a new city, it’s a great way to see the highlights and learn a bit about the city when you either don’t have a lot of time to explore on your own or when you just need some extra guidance about the best things to see and do afterwards. This walking tour starts at 2pm on Tuesdays, Thursdays and Saturdays. I honestly didn’t love this tour. My guide had the best intentions and was very kind but I struggled to understand what he was saying with his very broken English. I also found that the tour dragged and we spent a lot of time seeing things that weren’t that significant. The reason I put this on the list regardless of this, however, is that I spoke to people at my hostel who went on the tour on a different day, with a different guide and had a completey different experience. Whilst everyone agreed the Graffiti tour below was better some people still really enjoyed this walking tour. Hopefully I was just unlucky and your experience will be better if you choose to do this tour. Note that the same company also does bike tours, that costs around $10, this may be a better choice as people also said they really enjoyed this. 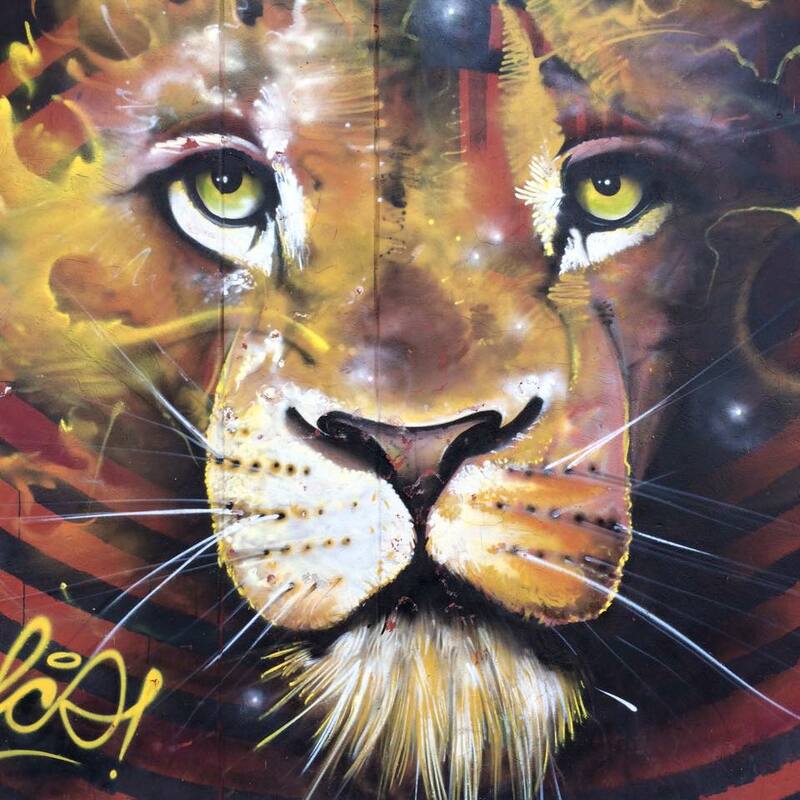 Bogota has some of the most beautiful street art I’ve ever seen. Literally every street has at least one art form. We saw brochures for the Graffiti Walking Tour in the hostel and other backpackers we spoke to recommended it so we thought we’d give it a go. After the regular walking tour being a bit hit and miss we were really hesitant to go on another but we are SO glad we did. The Graffiti Walking tour was amazing. Our guide, Jay, was Colombian/American, spoke perfect english and was super passionate about not only the art he showed us but of Bogota and Colombia itself. He walked us around the streets for almost three hours telling us the story behind each piece and their artists. He also told us more about the city and Colombias history then we learnt in the regular walking tour. If you only have time for one walking tour definitely make this one your priority, it departs twice a day 7 days a week. It was amazing to learn about how street art has changed the culture of the city. They really appreciate artwork and make it a priority in the cities future progress. Jay told us that the local school hires a different street artist each semester to teach the kids technique of street art, which I think is just incredible. The school has also provided a wall where artists can come freely and create art. Like all free walking tours in Colombia you are asked to tip the guide at the end but everyone who went on our tour loved it so much they were happy enough to tip generously. The guides also have an art studio, DIBS- by Culture Shock Colombia, where they showcase art from some of the artists around Bogota. It is a really cool place to check out if you have an interest in art or interested in purchasing artwork. The studio also sold clothing, skateboards with designs on the bottom (my boyfriend desperately wanted one of those) and other unique pieces. This is a pretty unique museum as pretty much everything is, you guessed it, made out of gold. 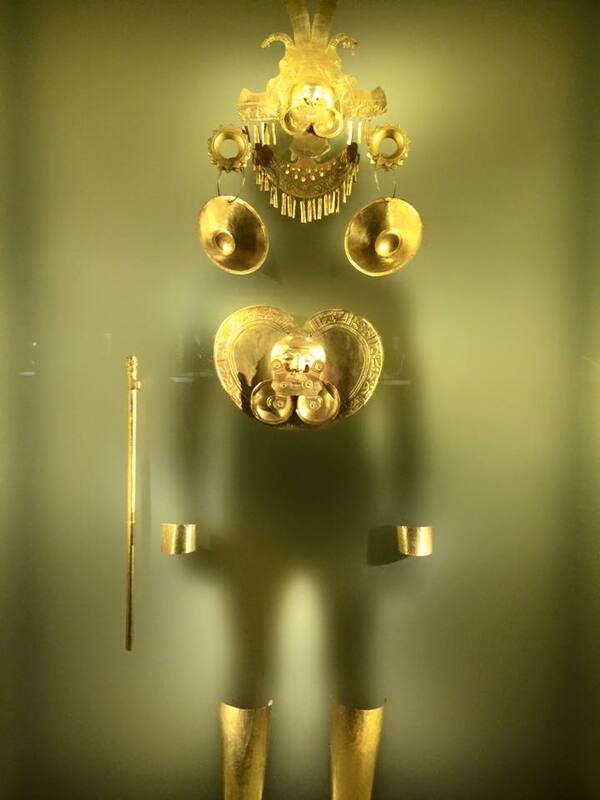 The museum contains more than 55,000 pieces of gold and other materials from all the major pre-Hispanic cultures in Colombia. At only $3000 pesos, roughly $1, it’s not a bad way to spend an hour (especially on a rainy Bogota day) to learn a bit about Colombias history. 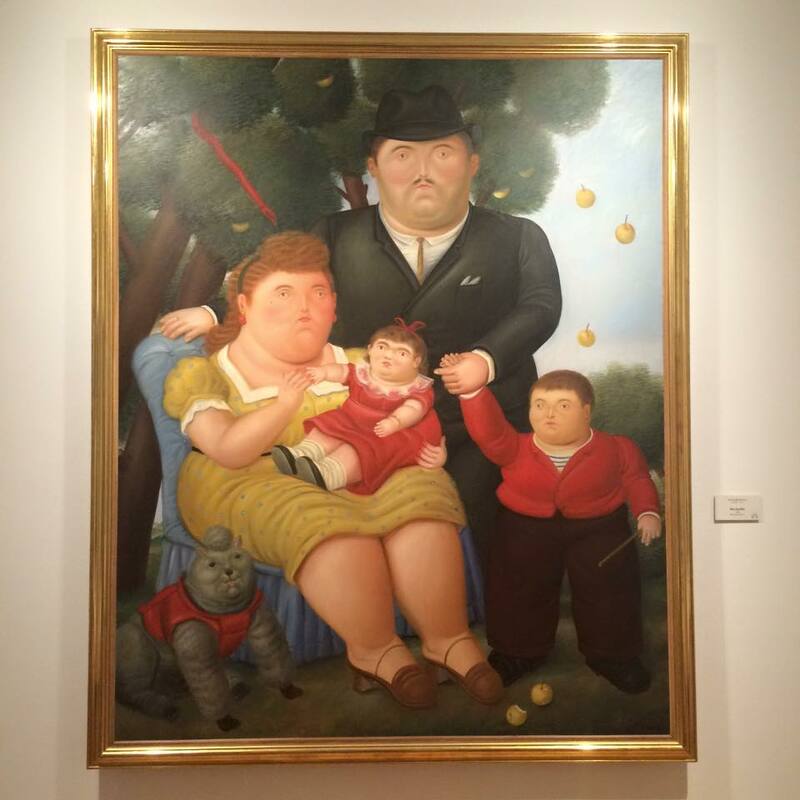 Fernando Botero is one of Colombias most famous artists and is known most for his signature style, also known as ‘Boterismo,’ which depicts people and figures in large, exaggerated volume. The museum also boats an impressive collection from other notable artists like Salvador Dali and Picasso. It’s also totally free. Don’t you just love free stuff?! Their are so many places to grab a bite to eat in Bogota that it would be impossible for me to make a list. What I would recommend, like everywhere, is to try and eat where the locals do. Eat from street vendors, eat at the food markets and try to always eat something you’ve never tried before. If you are on a budget their are so many places you could eat for just a few dollars. At night you can get a slice of freshly cooked pizza for $1 (not very local, I know, but super cheap) or an empanada for $0.50 cents. The street vendors have these incredible waffle/pancakes called ‘Obleas’ that they fill with toppings of your choice like caramel, nuts, fruit or condensed milk for under $1. Their is also unique fruits that can only be found in Colombia. Their were a whole bunch of restaurants recommended by the hostel, trip advisor and our walking tour guides too if you have a bit of extra money to spend. 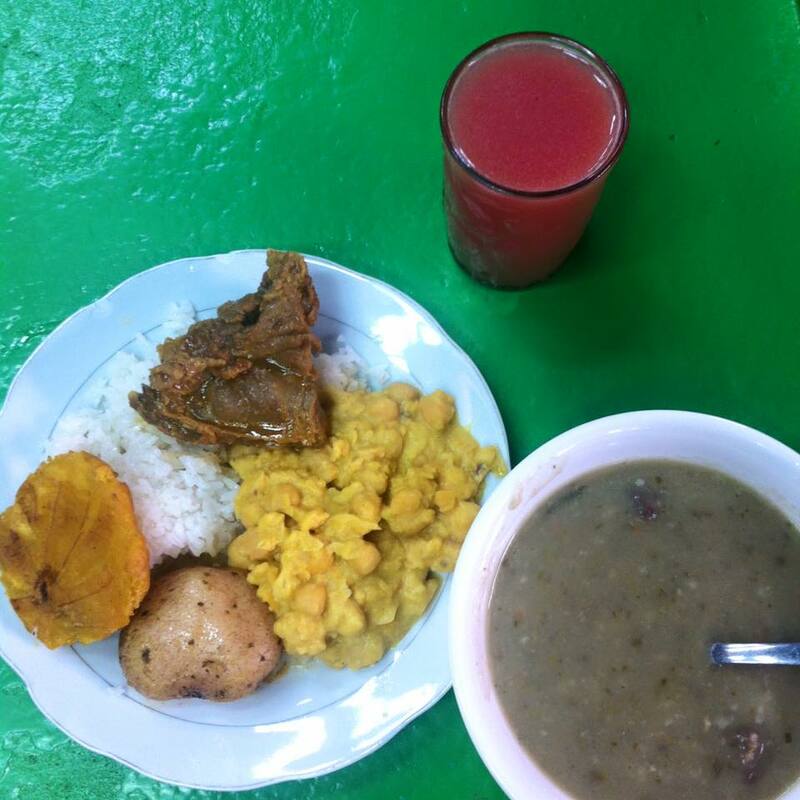 Our favourite Colombian dish is Ajiaco, a delicious soup with chicken, corn and potatoes. Yum! All of this cost us less than $2 at the markets. It was so tasty too! Be sure to stay somewhere in the historical part of Bogota, the La Candelaria district. I highly recommend Casa Bellavista Hostel. Not only is the locaction perfect, it’s totally safe and one of the cleanest hostels ever. They polish the floors every single day! The hostel is run by a family and they could not be any lovelier. The dorms are very spacious and comfortable, the cleaners even make your bed everyday, I’ve never had that in any other hostel. If you are traveling as a couple or just want a private room for a night they also have an incredible private room, which is really more a private, two storey apartment. It’s amazing! Their is so much more to see and do during your time in Bogota, including the popular Salt Cathedral, but these were my favourite ways to experience the city in just a few days. Related Read: The Gringo Trail of Colombia! Over to you! 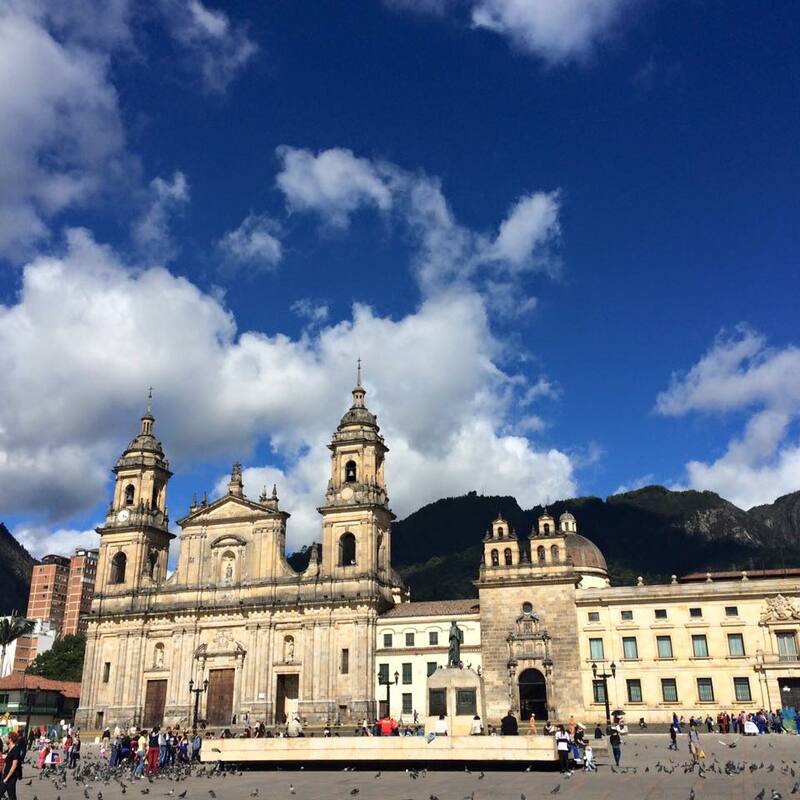 Does Bogota sound like somewhere you’d like to visit? Or do you have other recommendations for things to see and do there? Carnival: The Ultimate Guide To The Worlds Biggest Party!